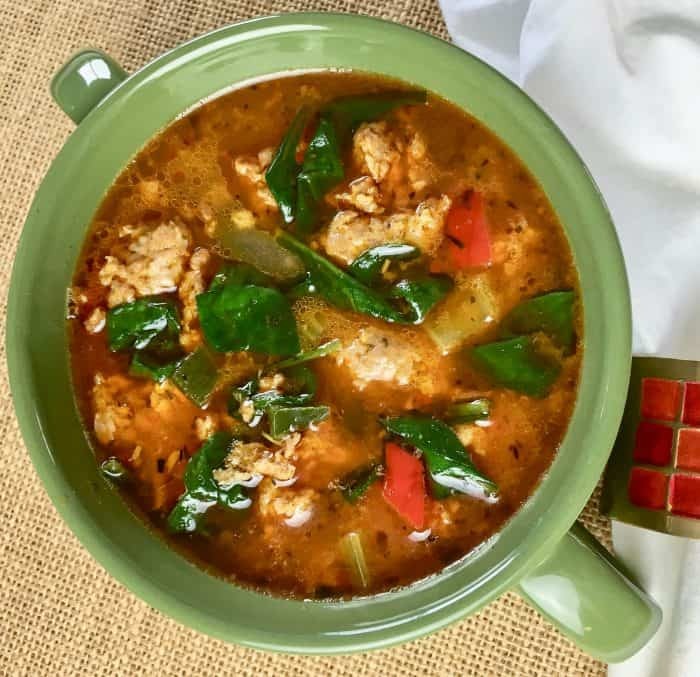 This Keto Instant Pot Sausage Soup doesn’t need to simmer for hours to develop great flavor. 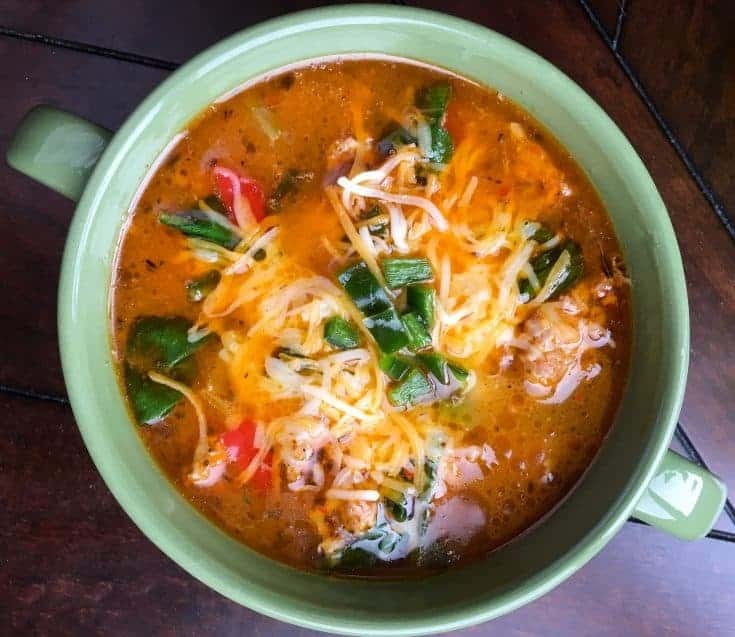 Thanks to a satisfying combination of spicy Poblano pepper, classic herbs, and an interesting blend of spices, this soup gets infused with lots of flavor in your pressure cooker. 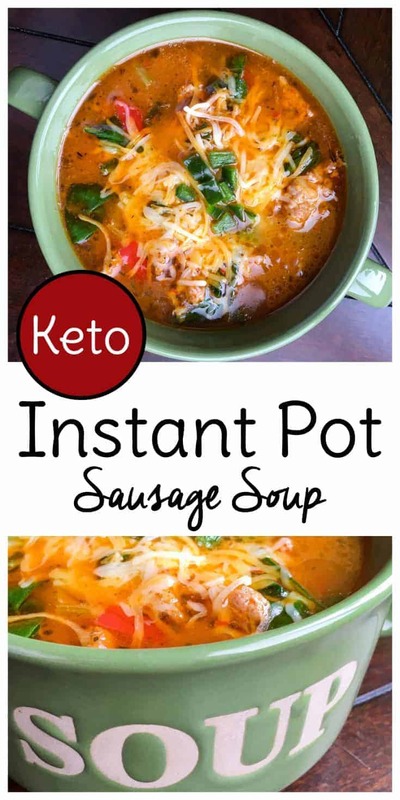 Keto Instant Pot Sausage Soup is great as a hearty appetizer or as a satisfying low carb meal. As an added bonus, it tastes even better as leftovers for lunch the next day! Set Instant Pot to saute and heat olive oil . Add sausage and cook, stirring occasionally, until the sausage is no longer pink inside, approximately 5 minutes. As the sausage cooks, break it into small pieces with a wooden spoon. Serve topped with shredded Cheddar Jack cheese and some additional diced Poblano pepper, if desired. Enjoy! Keto dieters, try my Sausage Egg Roll in a Bowl Recipe too while you’re here.